This charming, very private, self-contained cottage is set in the middle of our organic citrus orchard, just 5 km outside of Kerikeri. This cottage is wheel chair accessable. Our HoneyMoon Cottage is newly redone with double glazing, full insulation which makes it nice and warm in winter and cool in summer and extremely quiet. It is uniquely designed and handcrafted from New Zealand grown timber. For some extra comfort our HoneyMoon Cottage is equipped with heaters, flat screen TV, DVD, hairdryer, microwave, BBQ and outside furniture on the private deck, free wifi, tea/coffee and other amenities. Quality linen and towels are provided. Also have a look at our other Book a Bach listings under keyword "relax a lodge". * Herb garden and plenty of fruit trees. Kerikeri is situated in the beautiful Northland, only 3½ h from Auckland, only 20 minutes to Paihia and 2½ h to Cape Reinga. You can find us just outside of Kerikeri. If you come from Auckland/Paihia follow SH10 north. On the first round about continue 1.4 km further north (direction Kaitaia) on SH10. Please contact us if you have any questions regarding directions. - Smoking is permitted outside only. Beautiful wooden unit in the tranquil setting of an orange grove. The host is helpful and friendly. Feeding the pigs is fun and you are never short of a dog to take for a walk around the property! Lots of room for 2 people. Very clean and tidy. Comfortable bed and ample kitchen space. Surrounded by orange trees and other aspects of a hobby farm - chickens and pigs. Very friendly and helpful hosts. Great base for Kerikeri and Bay of Islands. Highly recommended. Fabulous home away from home in Keri Keri - everything you need and very comfortable cottage. Fabulous home away from home in Keri Keri - everything you need and very comfortable cottage. Staying within an orchard is such a delight. We loved it. Very special place to relax in. A peaceful cottage in a tranquil setting. A peaceful cottage in a tranquil setting. Free rant chickens and citrus orchard make a stunning back drop for this little gem. Very well equipped kitchen. Everything we hoped for and more. Highly recommended. Good location to explore the far north. 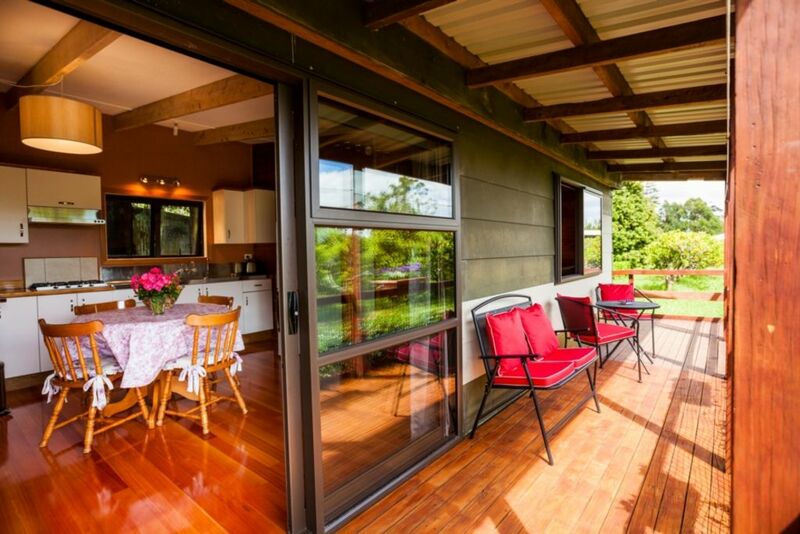 Location is great - rural farm feeling only a few minutes from Kerikeri. Location is great - rural farm feeling only a few minutes from Kerikeri. Cottage was well equipped and comfortable.